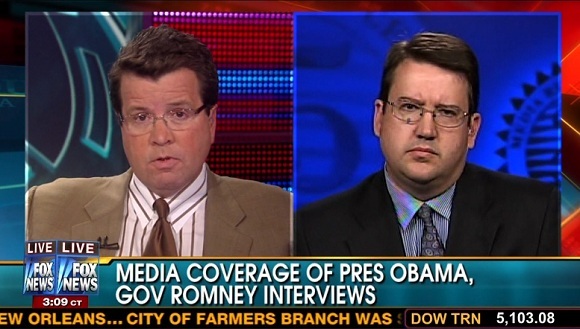 "The problem we have in this country is the [pro-Obama] advertising is what goes on in between the commercials" of the liberal media programs that have interviewed the president thus far this year, NewsBusters senior editor Tim Graham complained on the September 19 Your World with Neil Cavuto. The liberal media are in advertising mode for the president's reelection, Graham argued, judging by the way the media fail to hold the president to account for his handling of the "serious global problems that we have" while gushing over how cool his chummy chat with comedian David Letterman was last night. "Rip Mitt Romney all you want," Your World host Neil Cavuto offered, but on the other side of the coin the media should "do the same to the president, and that's what I'm not seeing."